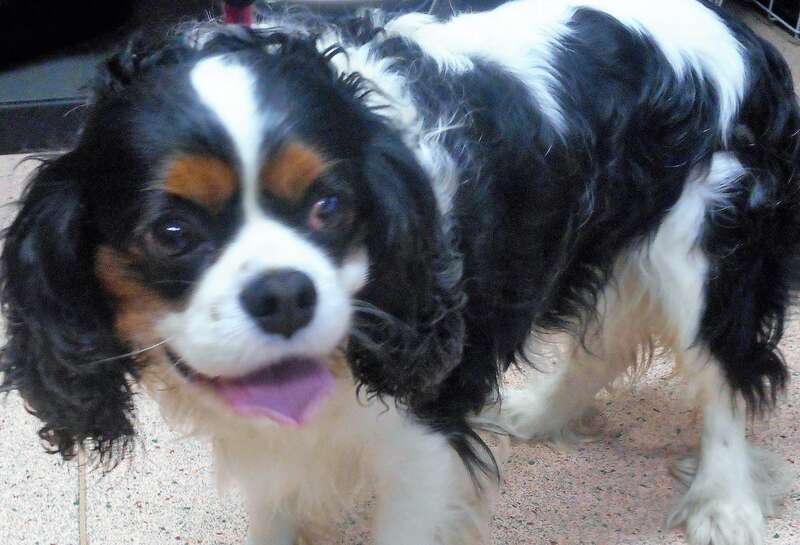 Found on Saturday wandering down Lansdowne Road/Tollemache Road near Claughton/Bidston a Male tri-colour Cavalier King Charler Spaniel. He's a well, looked after and v friendly little chap, i'm sure someone is missing him. Think i've seen him being walked past my house but don't know him enough to know his owner. Does anyone know who he belongs to? Picture attached. Keep us updated squirrel . Family in Bidston Ave have all their dogs accounted for. They don't recognise the little chap either. If you find a dog, you must by Law report it to a Dog Warden. Outside normal working hours you may not be able to speak directly to a Dog Warden, and you may have to keep the dog until the Dog Warden’s premises are open. The Dog Warden may wish to see the dog to check if it has been microchipped, but if you are the finder and wish to keep the dog if it is unclaimed, it should be possible for you to keep the dog by arrangement with the Dog Warden, but you have to allow 28 days in which the owner can claim the dog before you can consider it yours. Birkenhead: If you cannot keep the dog until the Council Kennels are open, you can ring 0151-556 1220. You may then be expected to take the dog yourself to the kennels, where you will be met at an agreed time. Cheshire West & Chester: Ring 0300 123 7035 to contact the Dog Warden. In evenings and at weekends, dogs go to Acorn Kennels, Heath Road, Whitchurch, SY13 2AA. Tel: 01948 662 931. Yes I contacted the dog warden on the day I found him. He's with Friends of Birkenhead Kennels at the moment. I had to do as best as I could to find his owner, I wouldn't feel as if i've given him a chance otherwise. Lincle - yes FOBK scanned him on Saturday. He's chipped but the details are 2 years out of date. Last edited by squirrel; 17th Jan 2019 1:39pm. This little dog has been on another forumn trying to find his owner, hopefully they will but if not he has no shortage of people wanting him. He is a little cutie. Maybe tell the folk up at Tam O'Shanter farm that he's been found and share a picture? They have a Facebook page. Someone might go up there asking about him, it's in the right area. If the owners were at all looking for him, you would think they would have put out notices on all the places on internet or even lampposts. It is surprising that no one appears to be looking for him. You've done all you can squirrel but there is only so much possible. Well done , he's warm, fed and probably very comfortable right now. . I'm not sure if Im stupid or just naive but it never occured to me that when FOBK cant find owners or new forever homes & the kennels are full they euthanase the dogs. I assumed they would send them to Dogs Trust as they say they never put a healthy dog to sleep. Its quite distressing.